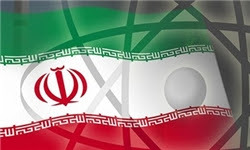 Director of Atomic Energy Organization of Iran (AEOI), Fereydoun Abbasi, said in Tehran today that Iran will not stop 20-percent uranium enrichment in response to external demands and pressures. Abbasi’s comments signal a tough bargaining position ahead of an anticipated meeting with the world’s six major powers. The West will reportedly insist on the halt of 20-percent uranium enrichment, the removal of the country’s existing 20-percent stockpile and the closure of its underground facility at Fordo that produces the higher-enriched uranium. A spokesman for the EU quickly responded to Abbasi’s comments saying Iran must come to grips with increasing international disquiet over the ultimate purpose of its uranium enrichment program. as Iran already has stockpiled more 20% enriched than it can use for civilian purposes in the next decade, that indicates that Iran has put a halt to enrichment on the table.